The header is a static section displayed on all pages of the store. 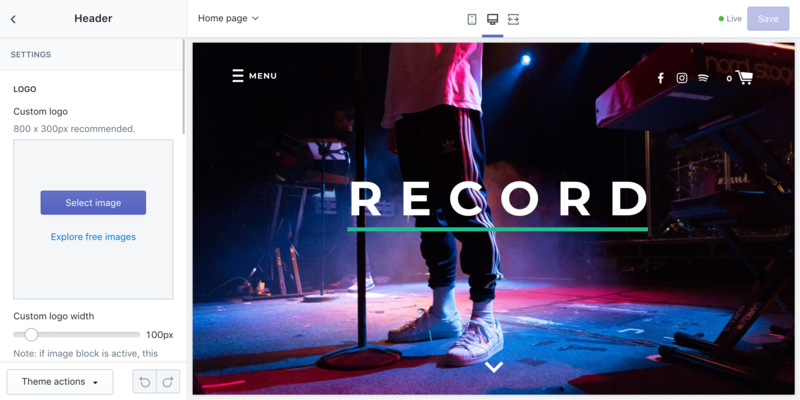 Label’s header can be configured to show a full-width featured image on the homepage. The presence of this image block affects how some settings are applied on the homepage. You can show an announcement bar which is displayed at the top of the header. You can configure the header to show a full-width image on the homepage. You may want to show a different version of the logo on top of the image.